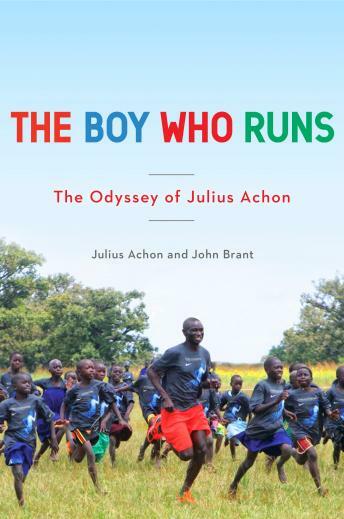 Thus begins the extraordinary odyssey of Julius Achon, a journey that takes a barefoot twelve-year-old boy from a village in northern Uganda to the rebel camp of the notorious Lord’s Resistance Army, where he was made a boy soldier, and then, miraculously, to a career as one of the world’s foremost middle-distance runners. But when a devastating tragedy prevents Julius from pursuing the gold at the 2004 Olympic Games in Athens, he is once again set adrift and forced to forge a new path for himself, finally finding his true calling as an internationally recognized humanitarian. Today, Julius is the director of the Achon Uganda Children’s Fund, a charity whose mission is to improve the quality of life in rural Uganda through access to healthcare, education, and athletics. While pursuing his destiny, Julius encounters a range of unforgettable characters who variously befriend and betray him: the demonic Joseph Kony, a “world-class warlord”; John Cook, a brilliant and eccentric U.S. track coach; Jim Fee, an American businessman who helps Julius build a state-of-the-art medical center deep in the Ugandan bush; and finally Kristina, Julius’s mother, whose own tragic journey forms the pivot for this spellbinding narrative of love, loss, suffering, and redemption. Written by award-winning sportswriter John Brant, The Boy Who Runs is an empowering tale of obstacles overcome, challenges met, and light wrested from darkness. It’s a story about forging your true path and finding your higher purpose—even when the road ahead bends in unexpected directions.